We lived near an old monastery. 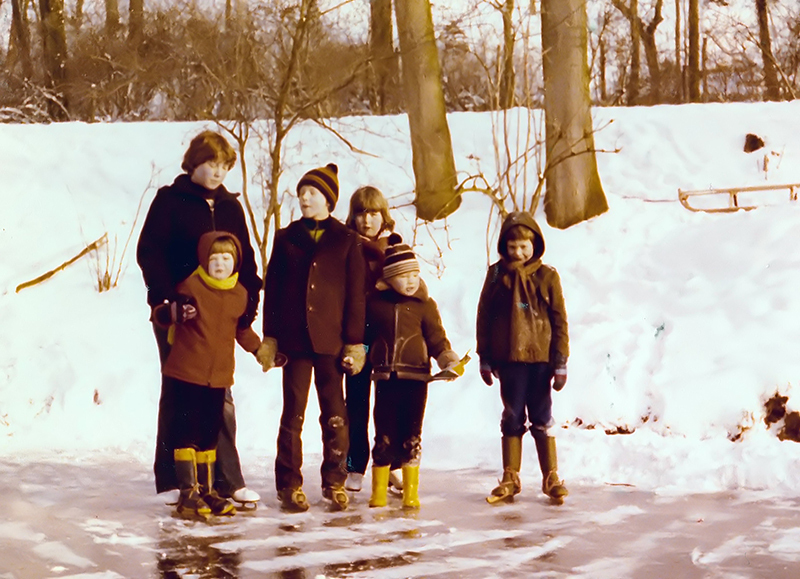 When temperatures went below zero, the pond in the public monastery garden became a meeting place for kids, families and friends in the neighborhood. Then, a simple pair of ice skates ensured hours of fun. Those who didn't own a pair of skates were given a push around the ice by the kids who did.